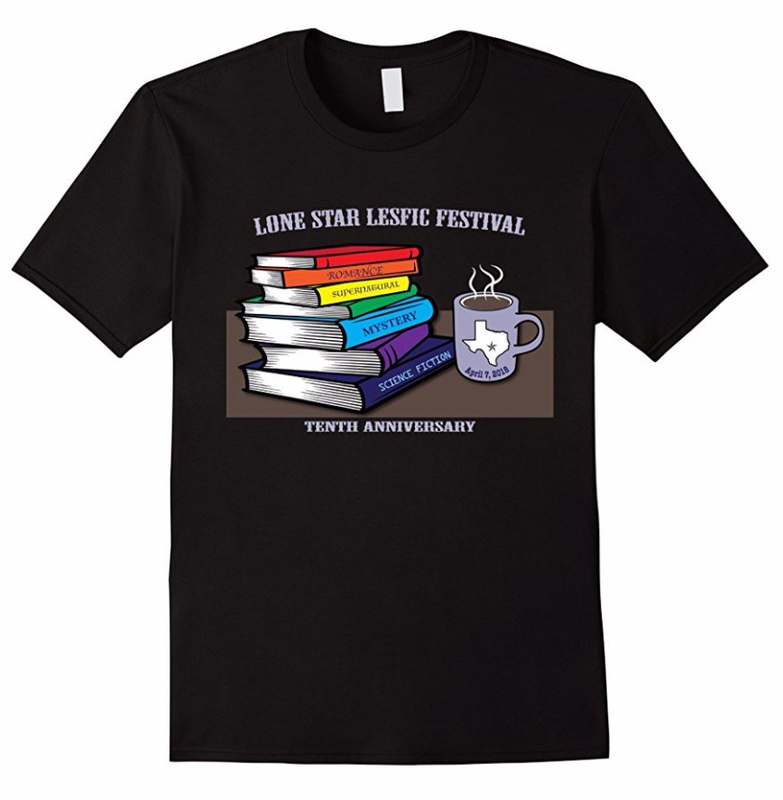 Wear your official Tenth Annual Lone Star LesFic Festival T-shirt on April 7 and receive a coupon during registration for 3 free books from our tables of recycled lesbian fiction. Festival T-shirts will NOT be sold at the event. Click here to order from Amazon. Already got mine and am wearing it. ❤ We hope to see you there in April! Thanks for supporting the Festival!